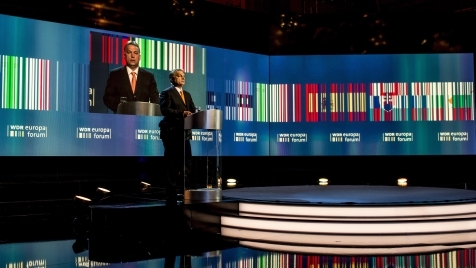 Hungarians deserve respect for their achievements of the past two years since they have succeeded in making the country a front-runner in the region, Prime Minister Viktor Orbán said on Wednesday. 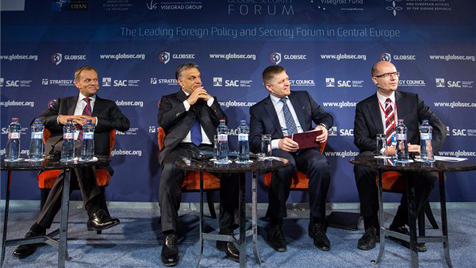 Central Europe needs military, transport, and energy security guarantees, Hungarian PM Viktor Orbán said at Globsec, the region's most important foreign and security policy forum, in Bratislava. Hungary's new national assembly re-elected Viktor Orbán as prime minister on Saturday, with 130 votes in favour and 57 against, after which he took the oath of office, and addressed Parliament. During his opening speech, titled “Europe at crossroads” the Prime Minister underlined that the energy sector is the most important issue as far as the future of European competitiveness is concerned. President János Áder formally appointed the ministers of Prime Minister Viktor Orban's third government on Friday. 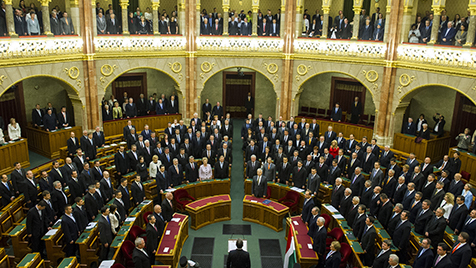 Later, Parliament held a session at which Prime Minister Orbán addressed the new cabinet before their oath-taking ceremony. One of the main reasons behind the HUF 269.4bn surplus was that due to the public holidays at the beginning of May budget wages and family benefits were transferred from the budget at the end of April. The significant fiscal surplus – also a result of higher tax and tax-type revenues – is also signalling an economic rebound. In the period January-May 2014, the deficit of the central sub sector of the state budget was HUF 681.7bn. Prime Minister Viktor Orbán is set to represent Hungary at the inauguration ceremony of Ukraine's president-elect Petro Poroshenko in Kiev on Saturday. The Hungarian nation can be proud of having survived the Trianon Treaty of Peace of 4 June 1920, Deputy Prime Minister Zsolt Semjén said on Wednesday, the Day of National Unity. The pain of losing Hungary's freedom is the driving force behind the memorial to the victims of the German occupation in Budapest's Szabadság Square, Prime Minister Viktor Orbán stated in a letter of reply to thirty Jewish American members of congress. 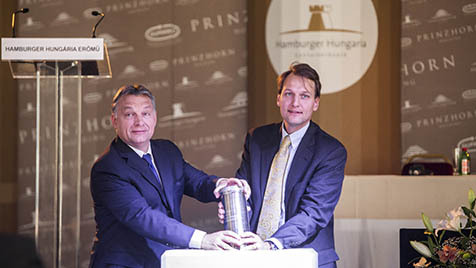 In Q1 2014, Hungary’s GDP increased by 3.5 percent year-on-year. Quarter-on-quarter, the economy expanded by 1.1 percent. In international comparison, Hungary’s quarter-on-quarter growth was – along with Poland’s – the highest within the European Union. Final data are in line with preliminary statistics. Prime Minister Viktor Orbán held talks on increasing the competitiveness of the European Union, promoting economic growth and creating new jobs with Greek Head of Government Antonis Samaras in Athens on Monday. A memorial plaque to soccer icon Ferenc Puskás was unveiled by Hungarian Prime Minister Viktor Orbán and Erzsébet Puskás, the legendary player's widow, in Athens' Apostolos Nikolaidis Stadium on Monday. In light of Q1 2014 data, the value of exports to international markets totalled EUR 20.8bn in the observed period. Foreign buyers purchased mainly products of the vehicle manufacturing, machinery manufacturing and food industry.